I'm getting worried about the Jews living in Montreal, Quebec. This past weekend saw tremendous building damage against Jewish institutions there. Five synagogues and a Jewish school were targeted by vandals who hurled rocks through windows between 2 and 3 a.m. Sunday. 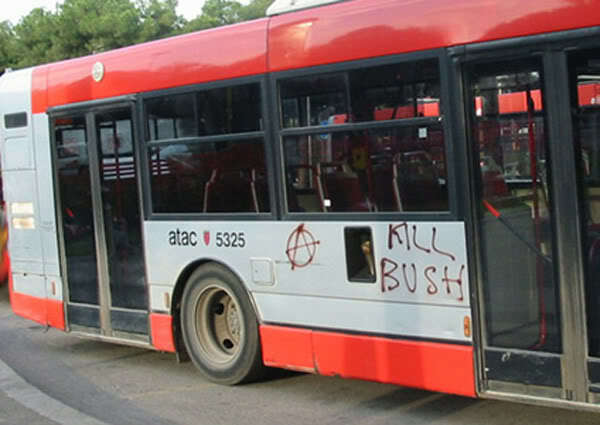 The good thing is that the police there are taking these attacks seriously. Unfortunately this is not the first time Montreal Jews have felt under siege. The weekend attacks resulted in only broken windows, but in one incident last March, the Ahavath Israel synagogue in Outremont was defaced with swastikas. [Rabbi] Poupko [chairman of the Jewish Community Security Coordinating Committee] said he believes Montreal police are taking the attacks seriously, adding that police have moved quickly in the past to arrest those responsible for other attacks on Jewish institutions, such as the firebombing of the library at United Talmud Torah School in 2004 and the firebombing of the Jewish community centre in Snowdon in 2007. What's going to happen there is anyone's guess. Blah, blah blah... settlements an obstacle to peace... Israel not serious about peace... blah blah, blah blah blah. Jerusalem is not just any city, it's the 3000 year old capital of Israel, and as some have said, Jerusalem is not a settlement. Israel wants to expand the neighborhood of Gilo. Gilo has 40,000 people living there - doesn't sound like much of an outpost to me. In fact, I once got lost there - too many streets. Yup, waiting on the 'Palestinian' recognition of Israel as a Jewish state by either Hamas or the Palestinian Authority... still waiting. Think I'll be twiddling my thumbs for a while. Then of course the rockets are still flying in from the Gaza Strip. Three hit Ashkelon about a week ago. Never mind - that shouldn't effect peace talks. Peace talks? Why bother when those you're supposed to be talking to aren't able to recognize your existence. Maybe one day someone can explain that to me. The Jewish Anti-Discrimination League will condemn Sarah Palin's use of the phrase "blood libel". I have to give the ADL credit. I like their statement. It is a clear denunciation of all hurtful political rhetoric and actually defends Palin - that she was unfairly attacked and has the right to defend herself. Good for them. I'm Offended - Aren't You? You may have heard the 'good' news. 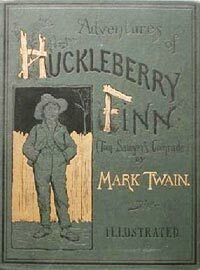 The novel, Huckleberry Finn is being rewritten in order to remove the n-word as well as the word "injun". "Race matters in these books," Gribben told PW. "It's a matter of how you express that in the 21st century." Of course. Why didn't I understand that. Race is important. Someone may be offended by a novel written over a hundred years ago by Mark Twain who was against slavery. Twain was writing a social commentary about the time period before the Civil War. Has anyone out there heard about the word "context" when understanding an historical novel? No. It's about our 21st century sensitivities. Are we saying that black people are unable to read Huckleberry Finn, a literary classic, because they may be offended? Are we saying that 'Native Americans' or Indians are unwilling to read this book because they too, may be offended? In other words, do we think they're stupid? I like to believe that Americans - no matter the color or race - are smarter than that. That we are able to read a book in its historical context. I'm Jewish. Do I want the Merchant of Venice by William Shakespeare changed because I may be offended by the character Shylock? Absolutely not. The play should be learned in its historical context. Shakespeare (as far as I'm aware) never met a Jew. At this point in time in history, Jews had been thrown out of England. Shakespeare was writing a character based on the attitudes and prejudices of his time. Students should learn the play in context. Are we to ban or change all books we feel will offend? There won't be much classical literature left if we do. Good article regarding this new addition of Huckleberry Finn. Condemn the Right! Don't Confuse Me With the Facts! The moment I head that Congresswoman Giffords was shot I knew that the right-wing was going be attacked for this massacre in Arizona. Never mind that he read Mein Kampf and The Communist Manifesto. Never mind that one of those murdered was a conservative leaning Federal Judge. This murderer was equal opportunistic and a crazy left-winger. But never mind all this. It's too bad I had no monied bets with anyone. I would have bet that these three groups would find themselves in the "crosshairs" of the left-wing media. Wouldn't you know it. Within 48 hours of the shooting - I find myself absolutely correct in my judgements. 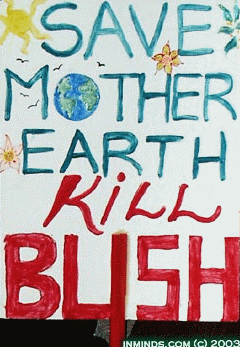 The left-wing condemns the rhetoric. 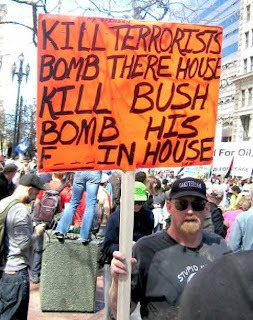 Sure, so do I - but I waited eight years to hear any left-wingers condemn the "dangerous" rhetoric coming from their side about President George W. Bush. I don't think I heard much more than crickets. I'm still waiting. Ah, does that mean I believe in 'scary' rhetoric? I am not for advocating violence or hurting anyone I disagree with - I merely state here that I am tired of the double standards being put out there by the left-wing of the country - that the only scary rhetoric is from the right. I'm tired of a media that in one breath reports that the murderer read Hitler and Marx then turns around and condemns the Tea Party as the true culprit. I'm tired of free speech and 1st Amendment rights that are reserved for liberals and not conservatives. I'm tired of an irresponsible media that is unable to report the facts rather than giving us their opinions as the facts. I'm tired of the constant barrage of attacks on honest gun-owners. I'm tired of the attacks on talk radio - considering that those attacking have never taken the time to actually listen. I'm tired of all of this. That being said - I knew it was coming the moment I heard the news. It's too bad I was right. ps. 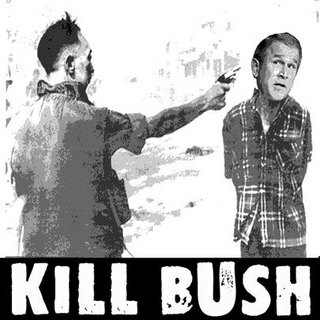 Check out those liberal "free-speech" pictures at the top - go to Google images if you would like to find more of them. Remember the 1st Amendment only applies to the left-wing of the country.